Admission is FREE and all are welcome. Please contact your GYM Co-ordinator or contact Priscilla Low at TRAC office +65 64784742 for more info. 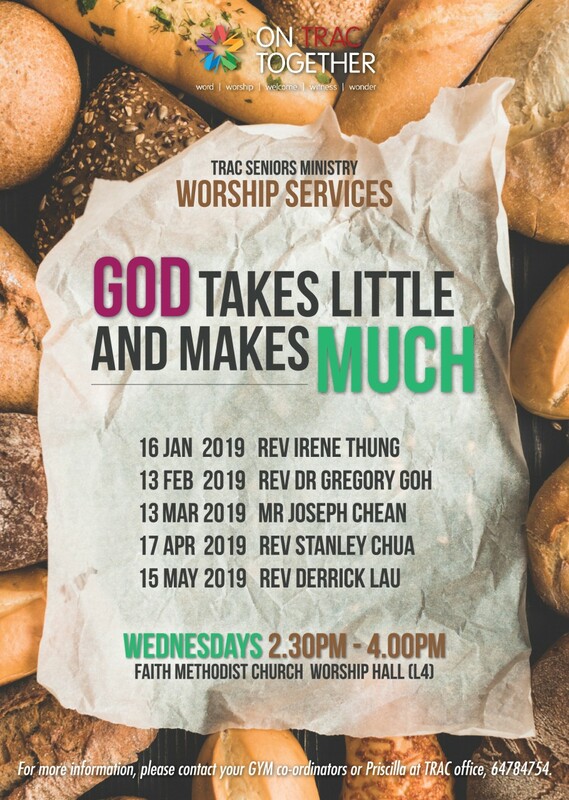 Visit www.trac-mcs.org.sg for more details.